This unit group is for all electrical and electronic engineers: These engineers design, plan, research, evaluate and test electrical and electronic equipment and systems. Electrical and electronics engineering is a broad field encompassing the study of control systems, electromagnetics and antennas, power systems, communications, and computer hardware and software. 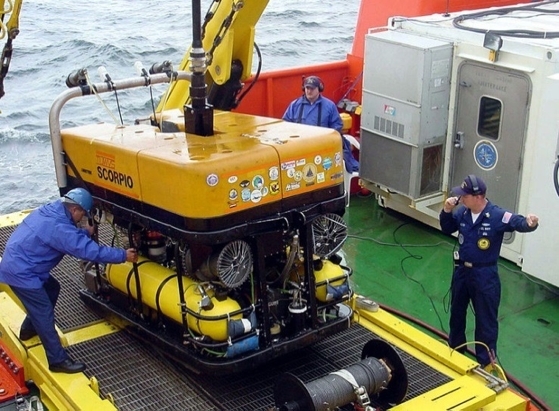 In the oceans technology sector, electrical and electronic engineers install, commission and deploy devices in the marine environment and on board marine vessels to enhance efficiency and effectiveness in all aspects of oceans- related industries such as communication systems to support military operations or search and rescue efforts. Investigate electrical or electronic failures. * The employment outlook over the next few years for this occupational group is "good", which indicates the chances of a qualified individual finding work is above average. Certification attests that the holder has met provincial requirements for the occupation. Certification is required to practice this profession. Advanced one year diploma for students with a Bachelor of Science or Engineering or an Engineering Diploma to further enhance skills in the oeceans technology sector.